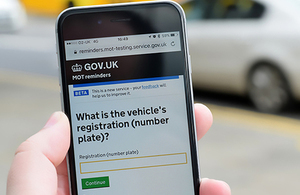 A test version of a new government service has launched to remind drivers by text message and email when their MOT is due. 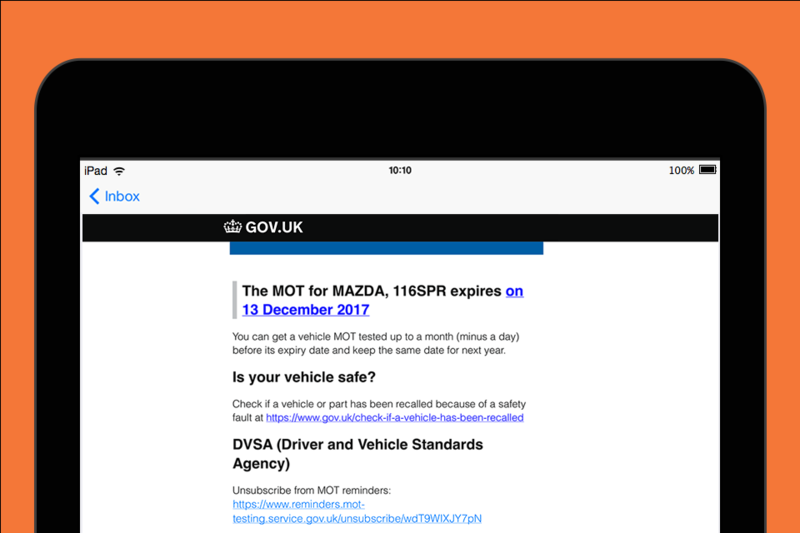 The GOV.UK service, developed by the Driver and Vehicle Standards Agency (DVSA), makes it easy to get a reminder every year when your vehicle’s MOT is due. You’ll also get alerts that your vehicle no longer has an MOT. You just need the vehicle’s number plate (registration number) and a mobile phone number or email address. You’ll get a reminder every year until you unsubscribe. The service is in ‘beta’ stage, which means it’s still being continually tested and improved by DVSA. Research by DVSA has revealed that around 28% of cars will be overdue at any one time. Most of these are down to drivers forgetting to get it done, rather than deliberately avoiding having the test done. You’re also risking your own life and the lives of your passengers and other road users. The 2016 reported road casualties report for Great Britain showed that roadworthiness of vehicles was a factor in 1,687 accidents. We have some of the safest roads in the world, but we are always looking at ways to make them even safer. Booking your next MOT is easy to overlook but it plays an important role in making sure the vehicles on our roads are safe and meeting high environmental standards. Getting a text or email will serve as a useful prompt to make sure people get their vehicle checked out time. DVSA’s priority is to help you keep your vehicle safe to drive. The annual MOT checks that important parts of your vehicle meet the legal standards at the time of the test. Motorists should also remember that to be a safe and responsible driver, and reduce the risk of your vehicle’s condition causing an accident that kills or seriously injures someone, you need to check your vehicle all year round. 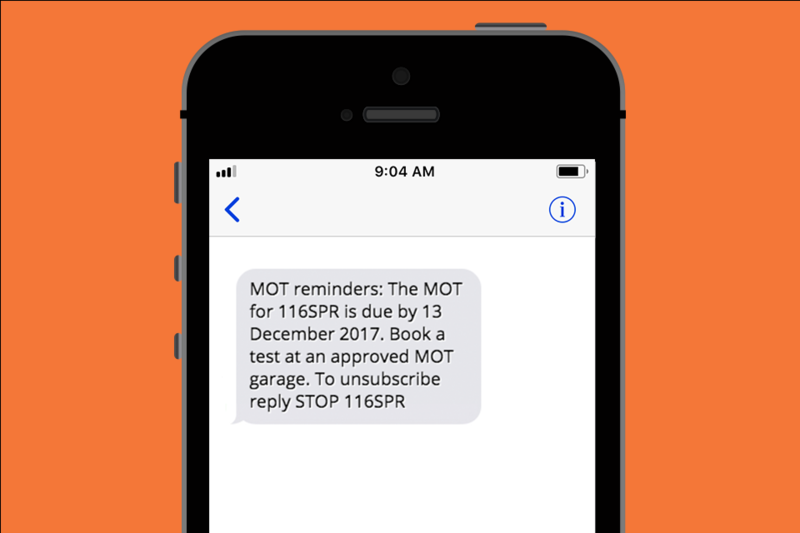 The MOT reminder service uses GOV.UK Notify, which is a platform to make it easier to keep people updated, and help government service teams send text messages, emails or letters to users. The government is creating a set of shared components, service designs, platforms, data and hosting, that every government service can use.